With regulations in place making it necessary for premises to highlight potential hazards it’s vital for businesses to ensure they have the right flammable hazard warning signage displayed. Our signs warning of where highly flammable substances are used or stored are an easy way to comply with the rules. A number of product options are available, in varying materials, sizes and orientations. See our sign fixings for solutions to securing your signage to walls, doors, storage cages and flammable storage cabinets. Materials and gases that are easily flammable present a serious fire risk, and for companies working with or storing these materials, good management of the risk is essential to avoid a fire. Displaying flammable signs in the relevant areas of your business premises alerts everyone to the danger so that they can make sure that their actions do not increase the risk of a fire. At Seton, we have a wide range of flammable signs with options to suit a variety of different premises. They are available in various options, and there are several materials available, including vinyl, plastic and rubber – see our handy guide to signs materials for more information. What’s more, many are suitable for displaying either inside or outdoors. Most of our flammable signs feature the hazard warning triangle with the well-known flame symbol inside it. Some also feature further information on the nature of the hazard, for example, the potentially flammable material being stored or used. To avoid the risk of fire, you may want to remind everyone of the dangers of smoking or naked lights where flammable materials can be found. 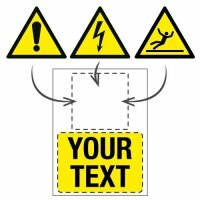 Our range of multi-message flammable signs also includes options that feature the prohibition sign of a circle and a line crossing the circle with the appropriate symbol and instructions to not smoke, not use naked flames, or both. By clearly marking the dangerous areas with flammable signs and ensuring that all employees understand the risks of handling or storing flammable materials, you can do a great deal to prevent a fire from starting. However, even in the best-organised workplaces, accidents can happen. Having a well-rehearsed evacuation procedure, working fire alarms and appropriate fire fighting equipment can prevent a small fire from getting out of hand and protect everyone on the premises from injury in the event of a more serious one. Many companies worry about falling short of the health and safety laws regarding the signing of areas containing flammable materials. However, by shopping with Seton, one of the UK’s leading retailers of workplace safety equipment, you can feel confident that everything that you purchase will fully comply with all current UK and EU safety legislation. By identifying the areas that are most at risk in your workplace and clearly labelling them with flammable signs, you have gone some way to reducing the likelihood of fires and the related injuries for your employees. If you are unable to find the flammable sign to suit your needs, then why not create one that will be unique to you and your business? 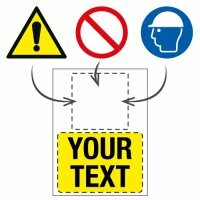 Our unique online Creator tool will enable you to create custom flammable hazard signs in five simple steps.